In a recent anti-supplement propaganda article by NPR entitled “The Case Against Multi-Vitamins Grows Stronger,” the notorious “news” agency lavishly reported the alleged findings of “experts” proving that “vitamin supplements don’t help most people and can actually cause diseases that people are taking them to prevent, like cancer.” Immediately, the entire mainstream media machine jumped into action promoting the statements of the “experts” and claiming that the case is now closed regarding the effectiveness and safety of nutritional supplements. Typically, Big Pharma mouthpieces such as NBC and CBS followed suit in repeating the same talking points. China Rejects 545,000 TONS Of GMO Corn Shipped From the U.S. The VA had me on 19 different medications, more than half were for “side effects” of the other half. I use supplements that have reduced my VA Meds down to 5. I live a better quality of life BECAUSE of supplements. 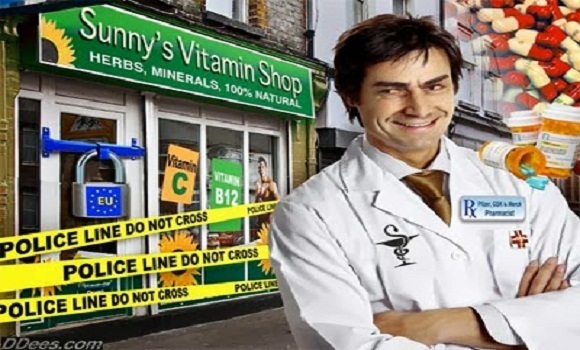 Supplement sales take money out of criminal Big Pharma Elite pockets. The greedy bastar5ds cannot allow that to happen because supplements taken properly will allow people to live better and longer. I take 25,000 IU of vitamin D-3 daily and have been doing so FOR YEARS! I take a magnesium supplement. I had a reaction to Statin drugs as many if not all people do. I have not has a vaccine since 1978 and I have not had the flu since 1977 when I last took the vaccine. I am 100% disabled service connected. I am ACTIVE in my own health care as everyone should be. I have emphysema from chemical exposure in the US Navy I use L-glutamine and it has the emphysema and COPD so well controlled I only cough a few times A WEEK. I take MSM and chicken cartilage so the arthritis pain is also at a minimum. I take Zinc when there ia a reported Flu out break in the local area and when it increases I tale colloidal silver as my great grandfather did during the Great Depression. I have not been sick in years.